Carl Philipp Gottfried von Clausewitz (IPA: [ˈklaʊzəvɪts]) (June 1, 1780 – November 16, 1831) was a Prussian soldier, military historian and influential military theorist. He is most famous for his military treatise Vom Kriege, translated into English as On War. As the way in which war is prosecuted, and the nature of war itself in terms of such distinctions as war by states and by non-state entities and by terrorist organizations changes, discussion of some of his ideas remains as relevant today as when he lived. While changed circumstances may have made some aspects of his legacy redundant, it nonetheless represents a solid contribution to theoretical military discourse. The links he drew between war, the goals of war and the political reasons for war, and his conclusion that no war can ever achieve its political goals by military means alone, serves to highlight the value of negotiation and diplomacy in a world where "total war" could mean the "total destruction" of all life. His practical involvement in defeating Napoleon Bonaparte - by helping to negotiate the Convention of Tauroggen - resulted in the failure of the Napoleonic imperial project, and in the preservation of freedom and of political independence throughout Europe and itself illustrates the vital role that diplomacy plays in world affairs. Carl von Clausewitz was born in Burg bei Magdeburg, Prussia on June 1, 1780 to a poor but middle-class family. His grandfather, himself the son of a Lutheran Pastor, had been a professor of theology. Clausewitz's father was once a lieutenant in the Prussian army and held a minor post in the Prussian internal revenue service. Carl was the fourth and youngest son. Carl entered the Prussian military service at the age of 12 years as a Lance-Corporal, eventually attaining the rank of Major-General. He served in the Rhine Campaigns (1793–1794) e.g. the Siege of Mainz, when the Prussian army invaded France during the French Revolution, and later served in the Napoleonic Wars from 1806 to 1815. 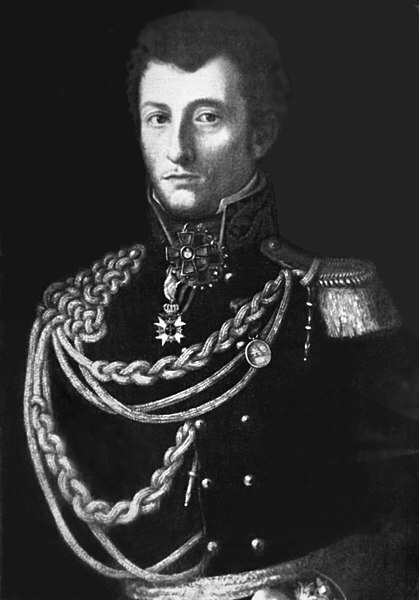 Clausewitz entered the Kriegsakademie in Berlin (also cited variously as "The German War School," the "Military Academy in Berlin," and the "Prussian Military Academy") in 1801 (age 21 years), studied the philosopher Kant and won the regard of General Gerhard von Scharnhorst, the future first chief of staff of the new Prussian Army (appointed 1809). Clausewitz, along with Hermann von Boyen (1771–1848) and Karl von Grolman (1777–1843), were Scharnhorst's primary allies in his efforts to reform the Prussian army, between 1807 and 1814. Both Clausewitz and Hermann von Boyen served during the Jena Campaign. Clausewitz, serving as Aide-de-Camp to Prince August, was captured in October of 1806 when Napoleon invaded Prussia and defeated the massed Prussian-Saxon army commanded by Karl Wilhelm Ferdinand, Duke of Brunswick (who was mortally wounded), in twin battles at Jena and Auerstedt) on October 14, 1806. Carl von Clausewitz, at the age of 26 years, became one of the 25,000 prisoners captured that day as the Prussian army disintegrated. Clausewitz was held prisoner in France from 1807 to 1808. Returning to Prussia, he assisted in the reform of the Prussian army and state. He also married the socially prominent Countess Marie von Brühl on December 17, 1810 at St. Mary's Church in Berlin and socialized with Berlin's literary and intellectual elites. Opposed to Prussia's enforced alliance to Napoleon, he left the Prussian army and subsequently served in the Russian army from 1812 to 1813 during the Russian Campaign. Like many Prussian officers living in Russia, he joined the Russo-German Legion in 1813. In the service of the Russian Empire, Clausewitz helped negotiate the Convention of Tauroggen (1812), which prepared the way for the coalition of Prussia, Russia, and the United Kingdom that ultimately defeated Napoleon I of France and his allies. In 1815, the Russo-German Legion was integrated into the Prussian Army and Clausewitz thus re-entered Prussian service. He was soon appointed chief of staff to Johann von Thielmann's III Corps. In that capacity, he served at the Battle of Ligny and the Battle of Wavre during the Waterloo Campaign in 1815. The Prussians were defeated at Ligny (south of Mount St. Jean and the village of Waterloo) by an army led personally by Napoleon, but Napoleon's failure to actually destroy the Prussian forces led to his eventual defeat a few days later at the Battle of Waterloo when the Prussian forces arrived on his right flank late in the afternoon and joined the Anglo-Dutch forces pressing Napoleon's front. At Wavre, Thielmann's corps, greatly outnumbered, prevented Marshall Grouchy from reinforcing Napoleon with his corps. Clausewitz was promoted to Major-General in 1818 and appointed director of the Kriegsakademie, where he served until 1830. In the latter year, the outbreak of several revolutions around Europe and a crisis in Poland appeared to presage another major European war. Clausewitz was appointed chief-of-staff to the only army Prussia was able to mobilize, which was sent to the Polish border. He subsequently died in a cholera outbreak in 1831. His magnum opus on the philosophy of war was written during this period, and was published posthumously by his widow in 1832. 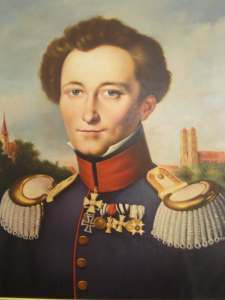 Although Carl von Clausewitz participated in many military campaigns, he was primarily a military theorist interested in the examination of war. He wrote a careful, systematic, philosophical examination of war in all its aspects, as he saw it and taught it. The result was his principal work, On War, the West's premier work on the philosophy of war. His examination was so carefully considered that it was only partially completed by the time of his death on November 16, 1831. Other soldiers before this time had written treatises on various military subjects, but none undertook a great philosophical examination of war on the scale of Clausewitz's and Tolstoy's, both of which were inspired by the events of the Napoleonic Era. Clausewitz's work is still studied today, demonstrating its continued relevance. Lynn Montross writing on that topic in War Through the Ages said; "This outcome … may be explained by the fact that Jomini produced a system of war, Clausewitz a philosophy. The one has been outdated by new weapons, the other still influences the strategy behind those weapons." Clausewitz introduced systematic philosophical contemplation into Western military thinking, with powerful implications not only for historical and analytical writing but for practical policy, military instruction, and operational planning. A young Carl von Clausewitz. Vom Kriege (On War) is a long and intricate investigation of Clausewitz's observations based on his own experience in the Wars of the French Revolution and the Napoleonic Wars and on considerable historical research into those wars and others. It is shaped not only by purely military and political considerations but by Clausewitz's strong interests in art, science, and education. One of the main sources of confusion about Clausewitz's approach lies in his dialectical method of presentation. For example, Clausewitz's famous line that "War is merely a continuation of politics," ("Der Krieg ist eine bloße Fortsetzung der Politik mit anderen Mitteln") while accurate as far as it goes, was not intended as a statement of fact. It is the antithesis in a dialectical argument whose thesis is the point—made earlier in the analysis—that "war is nothing but a duel [or wrestling match, a better translation of the German Zweikampf] on a larger scale." His synthesis, which resolves the deficiencies of these two bold statements, says that war is neither "nothing but" an act of brute force nor "merely" a rational act of politics or policy. This synthesis lies in his "fascinating trinity" [wunderliche Dreifaltigkeit]: a dynamic, inherently unstable interaction of the forces of violent emotion, chance, and rational calculation. Another example of this confusion is the idea that Clausewitz was a proponent of total war as used in the Third Reich's propaganda in the 1940s. He did not coin the phrase as an ideological ideal—indeed, Clausewitz does not use the term "total war" at all. Rather, he discussed "absolute war" or "ideal war" as the purely logical result of the forces underlying a "pure," Platonic "ideal" of war. In what Clausewitz called a "logical fantasy," war cannot be waged in a limited way: the rules of competition will force participants to use all means at their disposal to achieve victory. But in the real world, such rigid logic is unrealistic and dangerous. As a practical matter, the military objectives in real war that support one's political objectives generally fall into two broad types: "war to achieve limited aims" and war to "disarm” the enemy—i.e., “to render [him] politically helpless or militarily impotent." Thus the complete defeat of one's enemies may be neither necessary, desirable, nor even possible. In modern times the reconstruction and hermeneutics of Clausewitzian theory has been a matter of some dispute. Between one of the most prominent was the analysis of Panagiotis Kondylis a Greek-German writer and philosopher who opposed the popular readings of Raymond Aron (in "Penser la Guerre, Clausewitz) and other liberal writers. In one of his most famous works which was titled Theory of War and first published in German -later translated in Greek by Kondylis himself. In this very influential book Kondylis opposes Raymond Aron's liberal perception of Clausewetzian theory. According to Raymond Aron in Penser La Guerre, Clausewitz, Clausewitz was on of the very first writers condemning the militarism of the military staff and their war-proneness (based in the claim "war is a continuation of politics by other means") Kondylis claims that this a reconstruction that is not coherent with Clausewitzian thought. He claims that Clausewitz was morally indifferent to war and that his advices of political rule over war have nothing to do with pacifistic claims. For Clausewitz war is just a mean to the eternal quest for power of the reason d'etat in an anarchical and unsafe world. Other famous writers studying Clausewitz's texts and have translated them in English are the war specialists Peter Parret (Princeton University) and Michael Howard and the philosopher, musician and game theorist Anatol Rapoport who has translated the Penguin edition and has comparatively studied Clausewitz and other theories of War such as Tolstoi. There is no single "correct" spelling for German names before the early nineteenth century. Vital records were kept by pastors in their parish records. Different pastors used different spellings and commonly ignored how their predecessor may have spelled the same name. The name of the same individual can be found spelled differently in the same parish record, for example, if a pastor registered his birth and a different one his marriage and/or his death. It appears that pastors recorded names as they heard them and spelled them as they believed they should be spelled. Pastors treated persons of importance or high status such as nobility or civil or military officials more deferentially. For the names of such persons it can make sense to distinguish between such spellings as "Carl" or "Karl" even then. The situation changed radically in the Napoleonic era when French civil servants introduced greater discipline in keeping vital records in German lands. Spellings of family and given names were "frozen" in whatever state they happened to be in then. It was, however, not unusual for brothers who made their homes in different parishes to have their family names spelled differently. Such variations endure to this day and confound amateur genealogists who are not familiar with the fluidity of German spellings before the Napoleonic reforms. While spellings of names were fluid when Clausewitz was born, they had become firm by the time of his death. That is why it makes sense to accept the spelling of his name as recorded on his tombstone which, presumably, agrees with the vital records of his death. In the film Crimson Tide, the naval officers of the nuclear submarine have a discussion about the meaning of the quote "War is a continuation of politics by other means." The executive officer (played by Denzel Washington) contends that the captain (played by Gene Hackman) has taken a too simplistic reading of von Clausewitz. In The Frosh Report, Anthony Frosh tells how he was concerned that his traveling companions would think negatively of him for expressing his "von Clausewitz attitude toward global conflict resolution." "War is politics by other means." Sam Walker's non-fiction book Fantasyland references von Clausewitz, by name, briefly. In Ian Fleming's "Moonraker," James Bond mentions that he has achieved Clausewitz's first principle in securing his base, though this base is a relationship for intelligence purposes and not a military installation. In Steinbeck's East of Eden, Adam Trask's servant, Lee asks twice, "Did you ever read von Clausewitz?." Neither of the characters he asks has ever heard of Clausewitz. Lee responded the first time with, "Not very reassuring reading." This was Lee's way of expressing pessimism regarding the future outcome of the Great War. In Sam Peckinpah's Cross of iron (1977), Corporal Steiner (James Coburn)has an ironic conversation in the trenches between hostilities with the advancing Red Army with his comrade, Pvt. Schnurrbart, in which they refer to German philosophers and their views on war. Pvt. Schnurrbart; " …and Von Clausewitz said: war in a continuation of politics with other means." "Yes," Steiner, says, overlooking the trenches, " …with other means." He was mentioned in an episode of Popular by Nicole Julian. Despite his death just prior to completing On War, Clausewitz' ideas have been widely influential in military theory. Later Prussian and German generals such as Helmuth Graf von Moltke were clearly influenced by Clausewitz: Moltke's famous statement that "No campaign plan survives first contact with the enemy" is a classic reflection of Clausewitz's insistence on the roles of chance, friction, "fog," and uncertainty in war. The idea that actual war includes "friction" which deranges, to a greater or lesser degree, all prior arrangements, has become common currency in other fields as well (e.g., business strategy, sports). Some claim that nuclear proliferation makes Clausewitzian concepts obsolescent after a period—i.e., the 20th century—in which they dominated the world. John E. Sheppard, Jr., argues that, by developing nuclear weapons, state-based conventional armies simultaneously both perfected their original purpose (to destroy a mirror image of themselves) and made themselves obsolete. No two nuclear powers have ever used their nuclear weapons against each other, instead using conventional means or proxy wars to settle disputes. If, hypothetically, such a conflict did in fact occur, both combatants would be effectively annihilated. Therefore, the beginning of the twenty-first century has found many instances of state armies attempting to suppress terrorism, bloody feuds, raids and other intra/supra-state conflict whilst using conventional weaponry. Others, however, argue that the essentials of Clausewitz's theoretical approach remain valid, but that our thinking must adjust to changed realities. Knowing that "war is an expression of politics" does us no good unless we have a valid definition of "politics" and an understanding of how it is reflected in a specific situation. The latter may well turn on religious passions, private interests and armies, etc. While many commentators are quick to dismiss Clausewitz's political context as obsolete, it seems worthwhile to note that the states of the twentieth century were very different from Clausewitz's Prussia, and yet the World Wars are generally seen as "Clausewitzian warfare;" similarly, North and South Vietnam, and the United States as well, were quite unlike 18th-century European states, yet it was the war in Indochina that brought the importance of Clausewitzian theory forcefully home to American thinkers. Clausewitz himself was well aware of the politics that drove the Thirty Years War, a conflict that bears a great deal of similarity to the current struggle in Iraq. The idea that states cannot suppress rebellions or terrorism in a nuclear-armed world does not bear up well in the light of experience: Just as some rebellions and revolutions succeeded and some failed before 1945, some rebellions and revolutions have succeeded and some have failed in the years since. Insurgencies were successfully suppressed in the Philippines, Yemen, and Malaysia—just a few of many examples. Successful revolutions may destroy some states, but the revolutionaries simply establish new and stronger states—e.g., China, Vietnam, Iran—which seem to be quite capable of handling threats of renewed insurgency. The real problem in determining Clausewitz's continuing relevance lies not with his own theoretical approach, which has stood up well over nearly two centuries of intense military and political change. Rather, the problem lies in the way that thinkers with more immediate concerns have adapted Clausewitzian theory to their own narrowly defined eras. When times change, people familiar only with Clausewitz's most recent interpreters, rather than with the original works, assume that the passing of cavalry, or Communism, or the USSR's Strategic Rocket Forces, means that Clausewitz is passé. Yet we always seem to be comfortable describing the age of warfare just past as "Clausewitzian"—even though Clausewitz never saw a machinegun, a tank, a Viet Cong, or a nuclear weapon. The phrase fog of war derives from Clausewitz's stress on how confused warfare can seem while one is immersed within it. The term center of gravity, used in a specifically military context, derives from Clausewitz's usage (which he took from Newtonian Mechanics). In the simplified and often confused form in which it appears in official US military doctrine, "Center of Gravity" refers to the basis of an opponent's power (at either the operational, strategic, or political level). ↑ Note regarding personal names: von is a title prefix denoting some sort of (former) nobility, translated as of. It is an inseparable part of the last name, not a first or middle name. ↑ 2.0 2.1 Christopher Bassford, Clausewitz and his Works. Clausewitz.com. Retrieved May 31, 2007. ↑ Carl von Clausewitz. Vom Kriege. (Berlin: Dümmlers Verlag, 1832),Vom Kriege. Retrieved October 17, 2007. ↑ 4.0 4.1 Carl von Clausewitz. On War, trans. Col. J. J. Graham (London: N. Trübner, 1873), On War. Retrieved October 17, 2007. ↑ Roger Parkinson. Clausewitz: A biography. (New York: Stein and Day, 1970), 23. ↑ The Frosh Report, Solving the World's Conflicts, Solving the World's Conflicts. Retrieved October 17, 2007. ↑ John. E. Sheppard, Jr., "On War: Is Clausewitz Still Relevant?" Parameters 20 (3) (September 1990): 85–99. ↑ Scott Berkun. The Art of Project Management: Theory in Practice. (Sebastopol, CA: O'Reilly Media, Inc., 2005). Bassford, Christopher. Clausewitz and his Works. Clausewitz and His Works. Retrieved May 31, 2007. Bassford, Christopher. Clausewitz in English: The Reception of Clausewitz in Britain and America, 1815-1945. New York: Oxford University Press, 1994 ISBN 9780195083835 Clausewitz in English. Retrieved October 17, 2007. Clausewitz, Carl von. On War, Translated by Col. J. J. Graham. London: N. Trübner, 1873. On War. Retrieved October 17, 2007. Clausewitz, Carl von. Vom Kriege. Berlin: Dümmlers Verlag, 1832.Vom Kriege. Retrieved October 17, 2007. The Frosh Report. Solving the World's Conflicts. Solving the World's Conflicts. Retrieved October 17, 2007. Muhm, Gerhard. La tattica tedesca nella campagna d'Italia, in Linea gotica avamposto dei Balcani, a cura di Amedeo Montemaggi. Rome: Edizioni Civitas, 1993. Rogers, Clifford J. "Clausewitz, Genius, and the Rules." The Journal of Military History 66 (4) (2002): 1167–1176. Rothfels, Hans. "Clausewitz." In The Makers of Modern Strategy, edited by Edward Mead Earle, Gordon A. Craig, and Felix Gilbert, 93-113. Princeton: Princeton University Press, 1943. Sheppard, John E., Jr. "On War: Is Clausewitz Still Relevant?." Parameters 20 (3) (September 1990): 85–99. Villacres, Edward J. and Christopher Bassford. "Reclaiming the Clausewitzian Trinity." Parameters (Autumn 1995): 9-19. Reclaiming the Clausewitzian Trinity Retrieved October 17, 2007. All links retrieved January 12, 2017. History of "Carl von Clausewitz"
This page was last modified on 12 January 2017, at 21:26.